Five lucky youngsters have been given the opportunity of a lifetime to study at university, thanks to a Facebook competition run by the CTI Education Group. The five entered the competition in July this year and recently received the news that they had won bursaries to the value of R50 000 each to study at one of CTI’s twelve campuses spread through South Africa. The aim of the competition was to publicise CTI’s new South African accredited BCom and BSc (IT) degrees, which are being introduced on all CTI campuses from 2013. The winners are Keamogetswe Modise, Courtney Arendt, Brian Nzama, Motsamai Mashopha, and Mopale Moemise. All five are currently writing their matric exams. Courtney Arendt lives in Boksburg and attends Sunward Park School. She says winning the bursary means that she does not have to worry about tuition fees for at least another year, and she can start saving now towards the next year of studies. Arendt wants to study for the BCom degree and hopes to open her own salon after she graduates. Brian Nzama of Durban is currently doing his matric at New West Secondary School, Newlands. He also wants to do the BCom degree. Nzama says he is supported by his retired grandmother, and, without the bursary, would have found it difficult to study beyond matric. Winning the competition has re-opened the door to study for Motsami Mashopha of Sebokeng, as he had recently been turned down for a student loan application. He will register for the BCom degree at CTI’s Vanderbijlpark campus. All five learners will be amongst the first students to register for CTI’s BCom and BSc (IT) degrees. Both degrees are accredited by the South African Higher Education Quality Committee (HEQC) and registered on the National Qualifications Framework by the South African Qualification Authority (SAQA). At the same time, the degrees are externally moderated by Cardiff Metropolitan University in Wales. A unique feature of the degrees lies in the opportunity they give to learners to sit for an additional project at the end of their second year of study. If successful, students will be eligible to receive a BTEC Higher National Diploma (HND) awarded through Edexcel (UK) and the London School of Business and Management in London. The HND will give successful learners entry into third year studies at a variety of international universities abroad. CEO of the CTI Education Group, Darren Fox, says: “Having studied in South Africa, CTI’s internationally-aligned degrees give graduates the best of all worlds. The ‘internationalisation’ gives learners the advantage of having their degree recognised both in South Africa and internationally. Fox adds that CTI degrees offer programme content applicable and relevant to the local market, fully equipping graduates for a range of employment opportunities in South Africa. CTI’s degree offering also includes a Tablet-PC plus all prescribed eBooks. 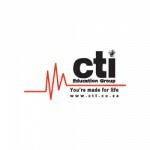 “CTI learners will receive a Tablet PC on enrolment. All coursebooks will be made available electronically at no extra cost, meaning that learners will become part of the e-generation through their studies at CTI, whilst attending normal full time lectures at any of CTIs’ twelve campuses. Both the tablet and eBooks are supplied to all students at no additional cost, a first in South African education history. “The Group believes that the use of Technology Enhanced Education supporting both degrees in 2013, all backed up by the world’s largest education organisation, Pearson, will further increase the already exceptional pass rates and throughput rates, thereby delivering even more value to its students and sponsors in preparing graduates to successfully enter employment,” Fox says. CTI offers a dedicated employment service through EVRST Business Solutions, giving students immediate access to competitive employment opportunities.